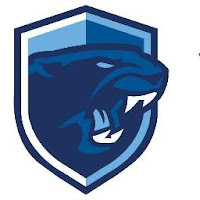 Franklin Matters: FHS' Haba among HockomockSports.com's "Baseball: Ten Players to Watch for 2019"
FHS' Haba among HockomockSports.com's "Baseball: Ten Players to Watch for 2019"
HockomockSports.com has published their "Baseball: Ten Players to Watch for 2019" which features one player from FHS. "The Franklin Panthers have had a lot of success over the past two seasons, and one constant in that time period has been shortstop Alex Haba. Haba burst onto the scene as a sure-handed shortstop during his sophomore year and has been one of the best defensive players at any positions since then. At one of the most important spots on the field, Haba routinely makes difficult plays look easy. And over the past two years, he’s really improved on the offensive end. Last season, Haba batted .328 during the regular season with 22 hits, 12 RBI and 15 runs scored. Haba will be a leader for the Panthers this year, both on and off the field, and could be one of the best overall players in the league."